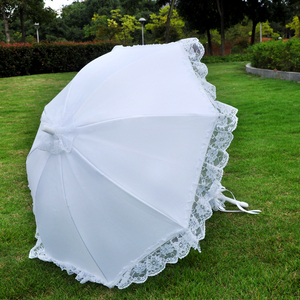 Wholesale Custom Cotton Lace Umbrella Wedding Bridal Umbrella Detailed Of Wedding Bridal Umbrella : Material Cotton+Wooden Size 82cm(Diameter)*68cm(Length) Color White, Black Type Wedding Umbrella MOQ 100pcs Usage: Wedding Port&Shipment: Shanghai, Ningbo Sea, Air & Express by FedEx, DHL, TNT, EMS etc. Indian Vintage S u n Umbrella Beautiful hand embroidered Umbrellas in all sizes, directly from manufacture in India. 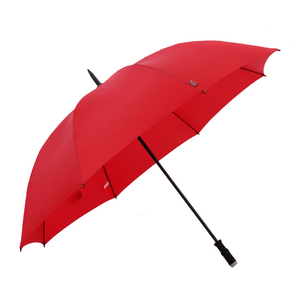 Manufacturer, supplier and exporter of umbrellas, monsoon umbrellas, beach umbrellas, gardens outdoor umbrellas, umbrellas for garden restaurants , straight umbrellas, umbrellas for roof top hotel etc. We provide expert quality with better durability , unmatchable designs with cheaper prices. 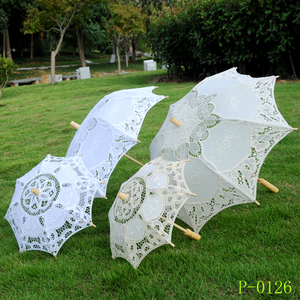 Yiwu Jingxin Craft Co., Ltd.
Ladies parasol exquisitely crafted in cotton Battenburg lace and embroidery. It has a wooden manual shaft, with 10 ribs and a straight turned wooden handle. This parasol makes an elegant accessory to any outfit but is not waterproof. The exclusive Screen Printed designs makes this fabric different and unique from the others. We are dedicated and professional team of taking care of all queries. We believe in provide best services to our customers. 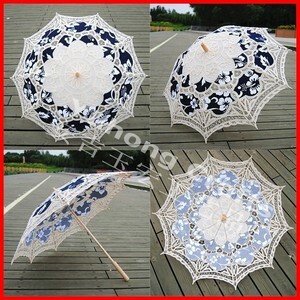 Alibaba.com offers 3,403 lace cotton umbrella products. About 9% of these are umbrellas, 1% are event & party supplies, and 1% are other gifts & crafts. 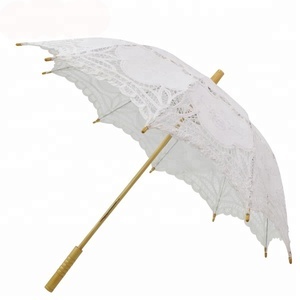 A wide variety of lace cotton umbrella options are available to you, such as free samples, paid samples. 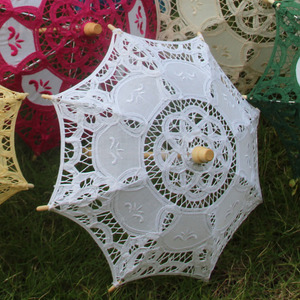 There are 3,282 lace cotton umbrella suppliers, mainly located in Asia. 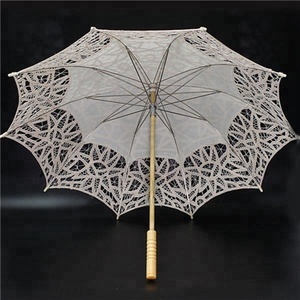 The top supplying countries are China (Mainland), India, and Turkey, which supply 97%, 2%, and 1% of lace cotton umbrella respectively. 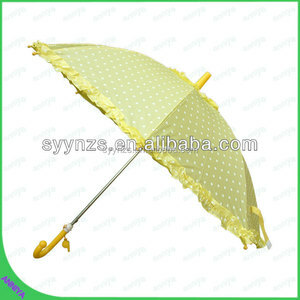 Lace cotton umbrella products are most popular in North America, Western Europe, and Eastern Europe. You can ensure product safety by selecting from certified suppliers, including 512 with Other, 89 with ISO9001, and 44 with BSCI certification.